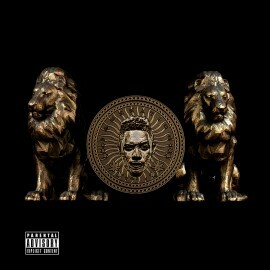 Jesse Jagz is one of my favourite musicians in the world. He is called 'The Greatest' - how those rap monikers stick - and that name works fine, but each of his albums, even the first, makes you want to also crown him 'The Genius' for the beauty, breadth and inventiveness of his sounds. My critique is that sometimes the albums are too good, too diverse, and fail to hammer home an overarching theme or round out a specific style. Trust me to find something wrong with anything. 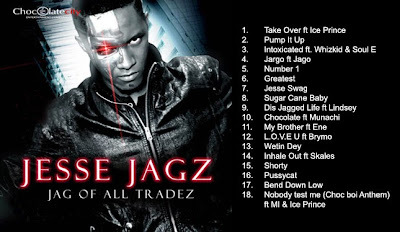 Indeed, the first album is titled Jag of all Tradez. It is a platter of multiple, maybe three, newish styles, and the result is wondrous, and it is wonderful when you're doing the long drive or stuck in traffic and you have all these many beats and lyrics and amazements to accompany you, and even if the album is almost five years old, I still say get it now. But artistically it is a tiny bit much. My publisher, SS at Kraft Books once told me that it's alright for a first album (well, a first poetry collection) to be more diverse, a little more episodic, more an introduction to the many facets of you, you know? It was he who suggested I cut my gazillion poems into more than one collection, and that I would understand someday, so we went with about 40% of the initial set for Comrade. the next collection Yalla! is about places and travel, with a friendship section tacked on. Then Big Girl and Big Boy would be loved by any boy, or any girl, each book being at the intersection of romance and this awkward economic situation of being elite in a land full of poor people. The latest book, Monsters, is really just about Monsters, i.e. fear and loathing. Preview Monsters. Jesse's work too has evolved nicely in this regard. Even from their titles, you can tell that the next two albums have more definition. followed almost immediately by 'Royal Niger Company' named after the colonial-era trading company that became Nigeria. He introduced RNC as a gift to the fans (ohmygodd free download, out of the blue) that serves up a little bit of history. Anyway, I sliced and diced his three albums and created four collections that offer this enhanced thematic / stylistic coherence that I love. Here they are. 1. The Greatest - Rap is about building yourself up with praise. Like a good oriki, it makes you feel good-and-confident. Now What's My Name? 2. LOVEU - Baby, I love you, so wind your behind for me. Holy Album Sales! 3. Thy Nation Come - Jah-consciousness. I just murdered Bob Marley. 4. 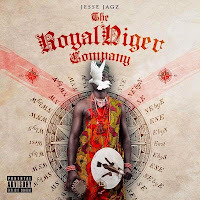 Royal Niger Company - The new sound of the tropics. I just murdered Fela. Complain in the comments section. Advertisement: Read my books. There is an extended, rather traditional, oriki poem in Big Boy, with a name oriki, twin oriki, and town/clan oriki. Yoruba people have been doing for (centuries?) this swag-a-brag thing that rappers do all day. Louis and Supply and Demand...they are massive. Hope I can deliver on your request sometime. Sorry about the delayed reply and really thank you for the love. Namaste.